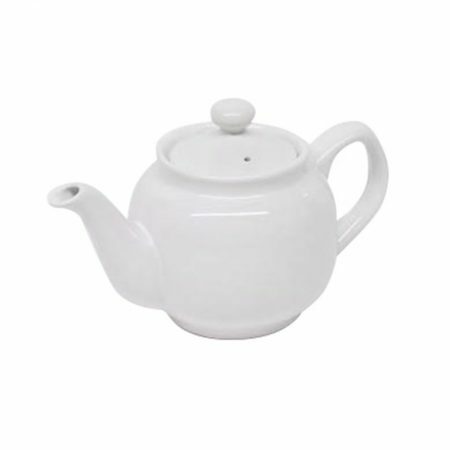 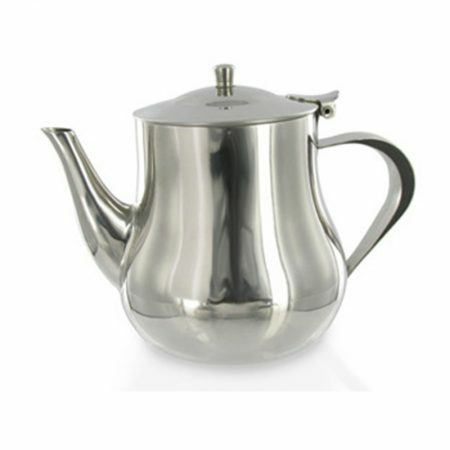 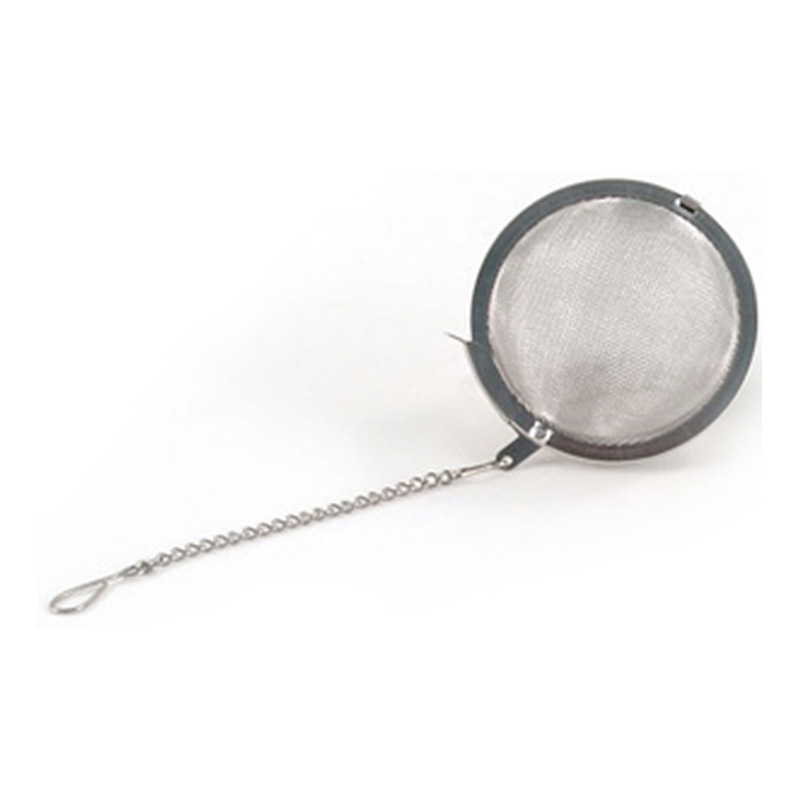 This 2 inch, stainless steel Mesh Tea Ball is ideally suited for use in teapots for hot tea, or pitchers when making sun tea. 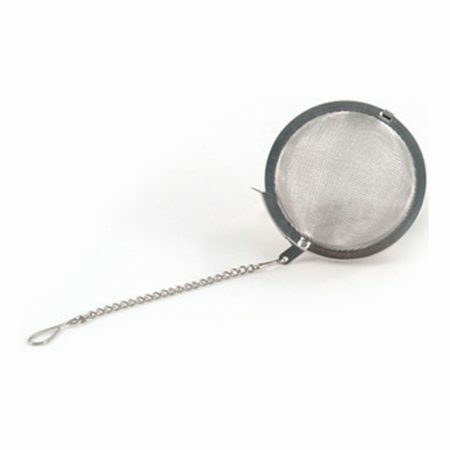 This 2 inch, stainless steel Mesh Tea Ball is ideally suited for use in teapots for hot tea, or pitchers when making sun tea. 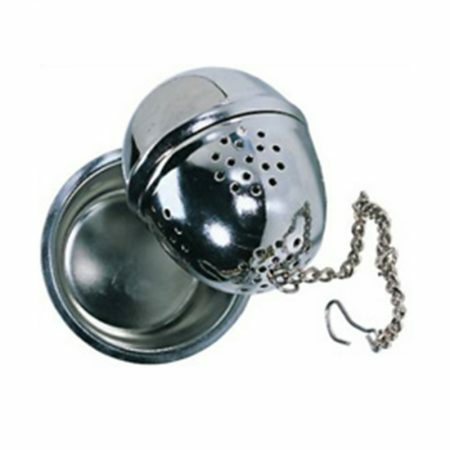 The ball traps the tea leaves inside, so they won’t float around in the water. 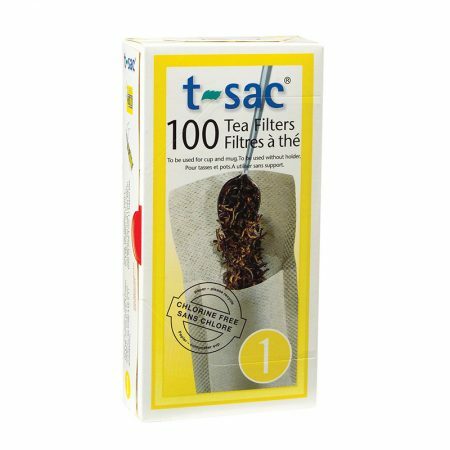 Makes 2 cups.